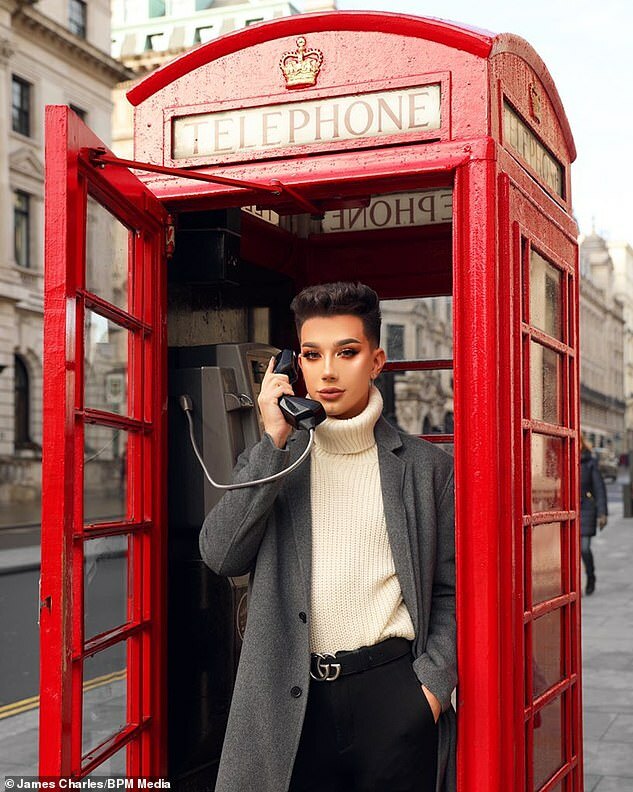 Home News and Finance	Who is the 19-year-old male beauty blogger who broke Birmingham? Who is the 19-year-old male beauty blogger who broke Birmingham? 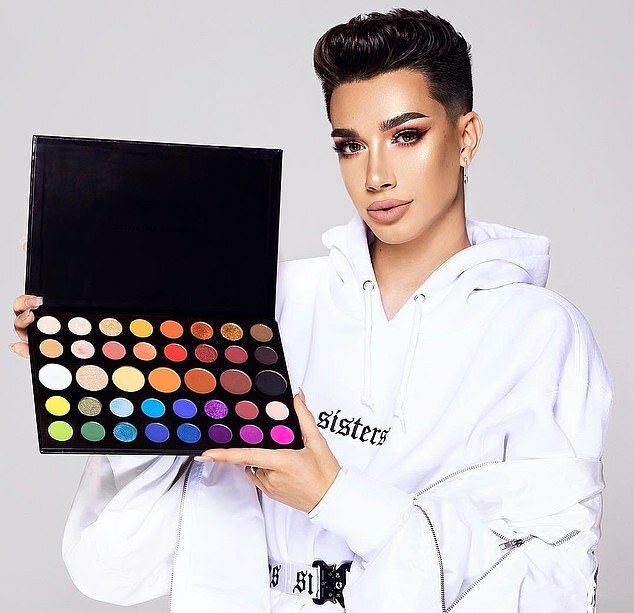 Five years ago, James Charles dreamed of becoming a global sensation – but never thought he’d actually get there. He describes himself as just a ’19-year-old kid with some blending brushes’. 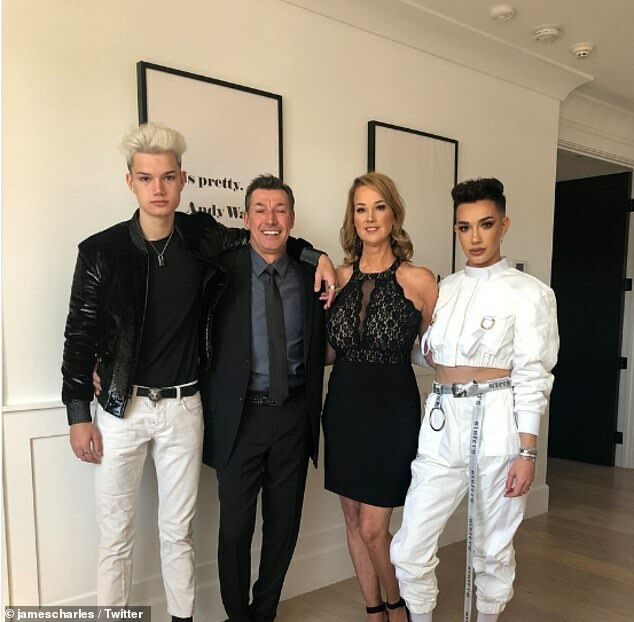 But the teenager from Bethlehem, New York State, USA, is now worth £6million and has millions of people following his beauty channel all over the world. 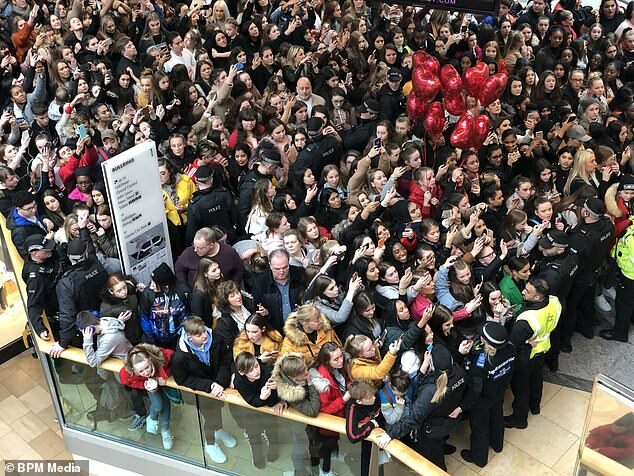 And this weekend the vlogger made headlines in the UK when his 30-second appearance to open a cosmetic franchise ‘broke Birmingham’ with 8,000 fans turning up to see him at the city’s Bullring centre. 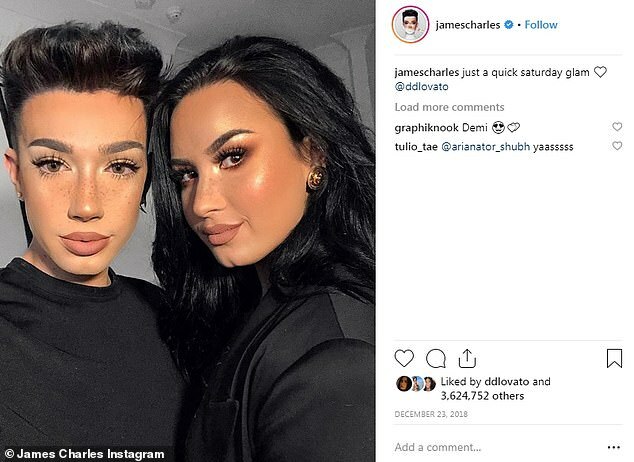 It started in 2015 when James, then a high school student and amateur make-up artist, who is entirely self-taught, he began uploading tutorials to YouTube. 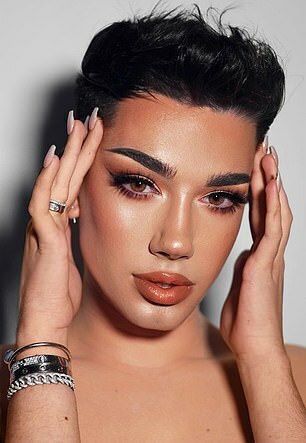 His following grew steadily until a year later in October 2016 when he made history as the first ever male face of US cosmetics brand CoverGirl. 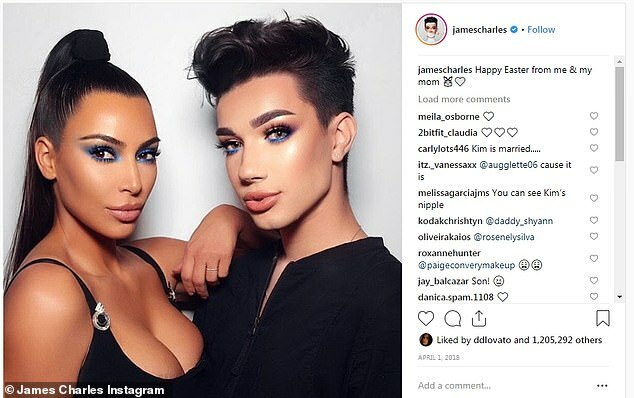 Through the brand he got to work with the likes of Katy Perry, Kim Kardashian and Kylie Jenner, who he shot a Halloween make-up tutorial with recently. Now his following stands at 13.6million on Instagram, 13.7million on YouTube and nearly three million on Twitter. 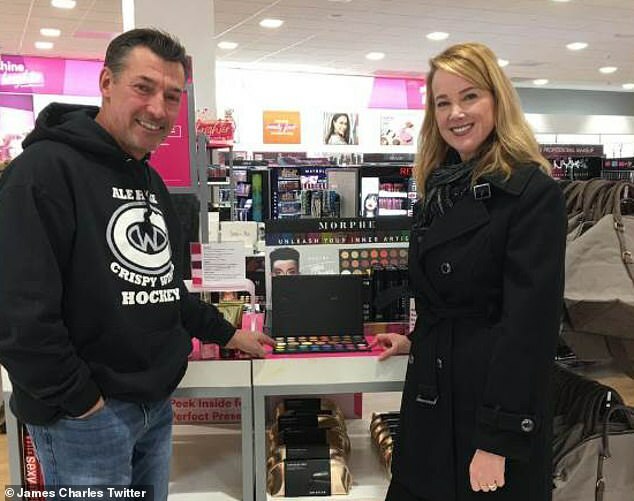 His pictures with various members of the Kardashian clan has sent his views sky-high and led him to a collaboration with the cosmetics brand Morphe, launching his own make-up palette for them. 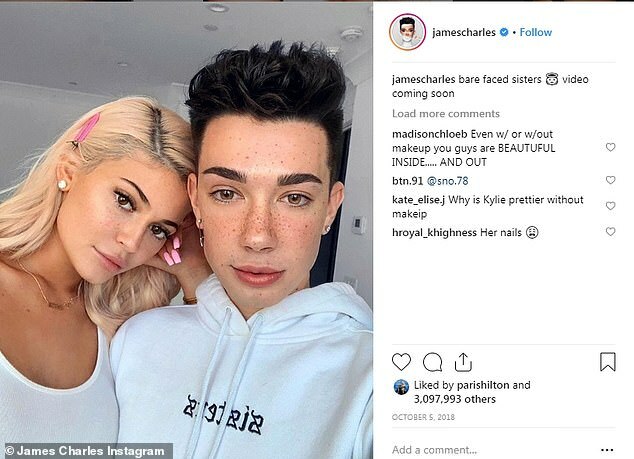 The young YouTube sensation is mostly popular with girls, who he refers to as ‘sisters’ or the ‘sisterhood’, but also counts several make-up obsessed men among his fans. He came out as gay at the age of 12 and regularly posts online about his personal life, but does not appear to be dating anyone. He told his followers: ‘When I was younger, I think in around sixth grade, I was 12 years old at the time, I was hormonal. I had just gone through puberty, and just like every other boy I was going through that stage of life. He joined an internet chatroom to talk to other bloggers, but found it was being used for sexual conversations. One day he claims his father walked in on him in a state of undress while talking to a boy online. The following day his parents asked to see his internet history, revealing his sexuality. The teenager is also legally blind and is unable to see anything without powerful contact lenses. But he has used it to his advantage, opting for colourful lenses to accentuate his looks. Charles graduated from Bethlehem Central High School in June 2017. Located just south of Albany in New York State, it has featured on a list of America’s best high schools. He has a mini-series that features his brother Ian Jeffrey called Brother & Sister where the pair talk about various lifestyle topics. 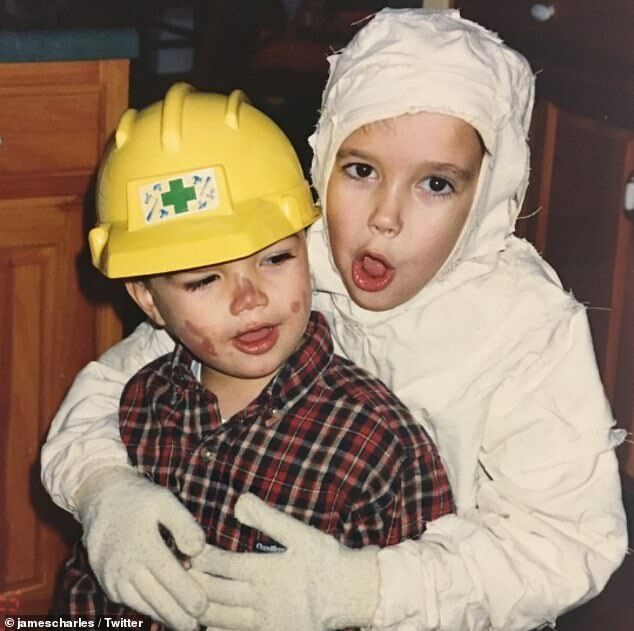 His parents have also featured in his posts, where he praises them for being so supportive of his career choice. His father is a contractor and helped him convert part of the family basement into a mini-studio. Charles’s mother Christie Dickinson is also on Instagram and through her sons following has accumulated 155,000 followers. She regularly posts family snaps and promotes her son’s brand with uploads of herself in his make-up products. 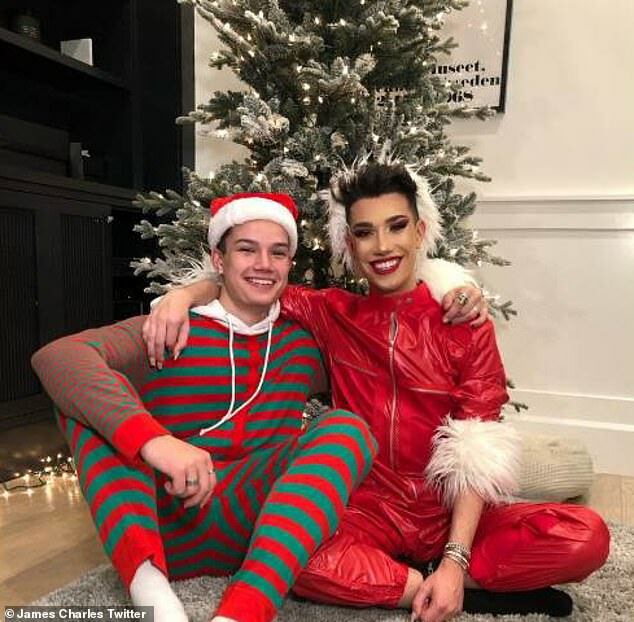 Describing how accepting they both are, he told the Ellen DeGeneres show: ‘They were like, ‘Oh, you know, we love you no matter what. Like if you’re trans, you can tell us.’ Charles says he does not identify as transgender. His creative flair began as a young child, when he was obsessed with drawing and painting. But after being forced to into doing a female friend’s make-up for a party she was late to, he started doing his own and his cosmetic ambitions grew from there. He also has a talent for singing, posting a select number of clips of his voice. He is a member of an a Capella group called Flashback who record song covers and post them on YouTube. 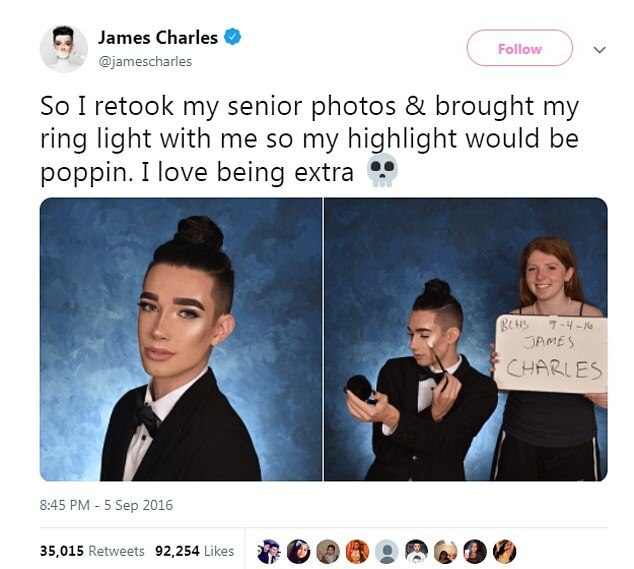 Charles has spoken about negative comments he receives online, admitting that not everyone is ready to accept a boy who wears make-up. Instagram started moderating his comments after a number of abusive ones came to light. At the age of 17 his social media presence nearly killed his career when he posted an offensive tweet about a holiday to Africa. After a furious backlash he admitted he was a ’17-year-old kid’ and apologised for ‘offensive stereotyping that is not okay’. It was partnership with Morphe that brought him to the UK for the first time last week. He was invited to cut the ribbon at their first branch outside London. After posting a picture of himself outside a red phone box he appeared at the Bullring Centre in Birmingham. Despite his fans only being able to see him for 30 seconds the shopping centre was packed with more than 8,000 screaming fans. Motorists were forced to ditch their cars and the city was gridlocked for hours as frenzied teenagers rushed to see him. Worried bosses were even forced to call in extra police and turn off the escalators over fears fans would be crushed as the centre reached full capacity.